Chrichton's World: Review Transporter Refueled (2015):Highly unremarkable and incredibly forgettable! 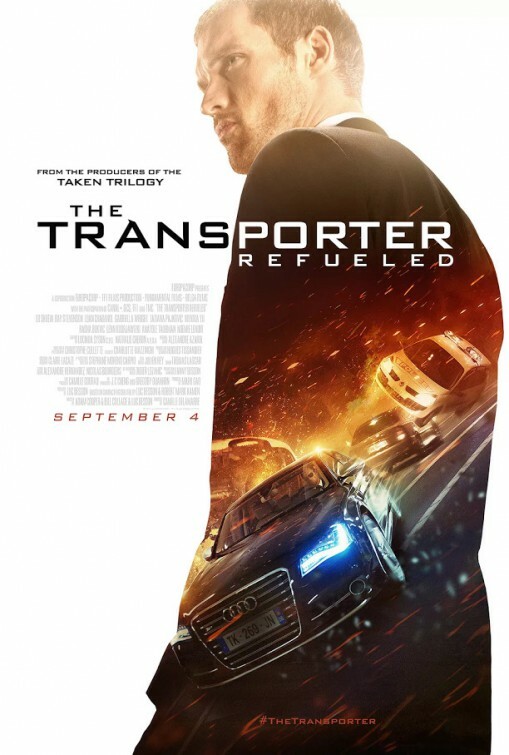 Review Transporter Refueled (2015):Highly unremarkable and incredibly forgettable! Was it really necessary to make yet another reboot? Transporter already was remade for television with Chris Vance in the Frank Martin role and he did that quite well. The show delivered the same of what people would expect. It seems very redundant. And after having seen Transporter Refueled a day ago I can honestly say that this most definitely will be a waste of your time. Not that it is bad or anything. Actually it's a competent action film. Only it's very average with only a few redeeming factors that unfortunately won't be enough to keep your interest. While I was watching this film I started writing my review for The Hard Way around the one hour mark with still 30 minutes to go. Just to give you an idea how this flick failed to hold my attention. The plot itself had an interesting approach if not for the fact that Frank Martin becomes a secondary character. One of the highlights in this film is the father of Frank Martin played by Ray Stevenson. Both Ed Skrein (Frank Martin) and him have great chemistry together. You might be asking yourself who Ed Skrein is. He briefly played Daario Naaharis in Game of Thrones. Ed Skrein himself also did a good job as one could expect. Actually I think most of the cast do a good job. The biggest fail however is director Camille Delamarre who directed Brick Mansions. That remake of Banlieue 13 was a travesty and that is me being kind. While I must admit that Delamarre has improved somewhat he clearly lacks insight and vision. The original Transporter was such a hit because it had Jason Statham and good stylish action. Emphasis on stylish. In this Transporter that is almost completely absent. The one thing that could make the distinction between remarkable and average is not present. Luc Besson the man behind some of the best action films understood this. His involvement with this project clearly was minimal but still it makes me wonder why he would approve of the result since this is so far removed from his fresh and creative take on cinema. I truly wished I could recommend you this. But what is the point? Immediately after seeing this you will forget anything about it. So do yourself a favour and avoid this.